Meeting Chaired by Gwenda Owen. Chris Roberts updated the meeting on our engagement with Developers of the new estates around Cardiff; specifically in the NE and NW of the city. Cardiff Cycle City are working with Cardiff Council to arrange a meeting with the housing developers and representatives of the Design Commission for Wales, the Institution of Civil Engineers, Public Health Wales (Cardiff & the Vale), the Royal Town Planning Institute, and Transport for Wales, to discuss how to incorporate effective active travel infrastructure into the new developments. Development of the Primary Routes (protected cycleways) and the wider network. Suggestion to put this at the top of the list. The Committee will meet to discuss how to progress with each priority, then report back to a future Open Meeting. 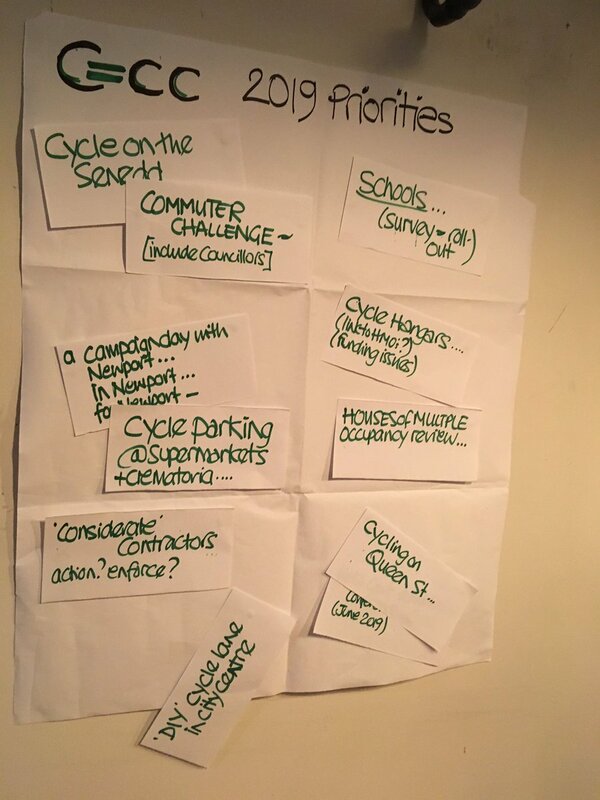 Cardiff Cycle City committee members attending the Cardiff Cycling Advisory Group (CCAG) meetings will raise these issues at the next meeting along with a list of “small but significant” things the council could do to alleviate/help with some of these issues. Coloured salt (or brine) so people can see the path has been gritted? Update on Cycleway ONE and when work will begin? Progress on the review of the Integrated Network Maps to incorporate local networks. Preliminary consultation beginning on Cycleway 5, West link (to Ely) the first stage of consultation under WelTAG (Welsh Transport Appraisal Guidance) with stages 3 to 5 to follow. After discussion (citing discord between fast bypass-type cycleways and cycleways that take routes through shopping and cultural centres thereby increasing possibilities for people to shop etc. 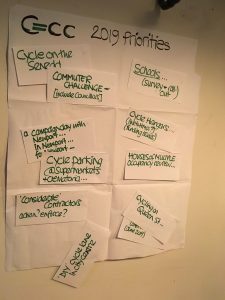 whilst using the cycleways), it was agreed that the subject of the route for cycleway CSH3 should be added to the list of items to take to the next CCAG meeting. 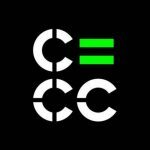 Cardiff Cycle City members have initially made progress in this area (see this post), and the need to re-engage with the council on this was agreed. Do you have any comments on these discussions? You can share them with us by using the form below. We talked about the commuter challenge in Bike Week as well, for which volunteers will be needed. And about helping to set up a Newport Cycle City. It is necessary for the health of dogs for them to be allowed off lead. at times the owner is on the path and the dog running to and fro. Dog owners need to call their dogs but cyclists need to slow down to allow for pedestrians who haven’t heard them and dogs who might not understand.